Added on February 19, 2019 by cyriaco lopes. Added on February 8, 2019 by cyriaco lopes. Added on February 7, 2019 by cyriaco lopes. Added on January 5, 2019 by cyriaco lopes. 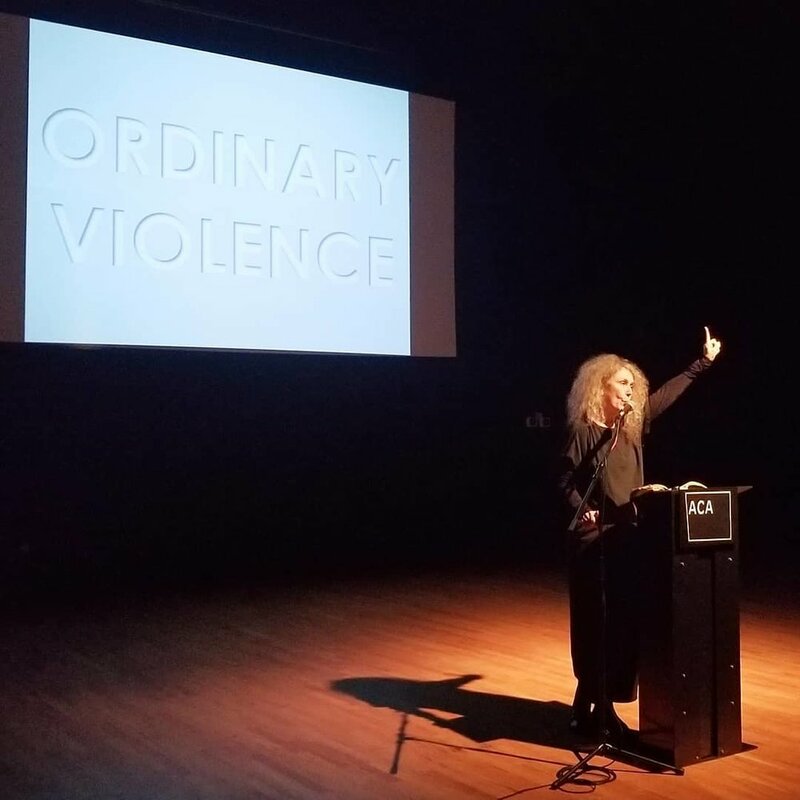 ‘ordinary violence,’ performance with terri witek at the atlantic center for the arts. Added on December 17, 2018 by cyriaco lopes. AnnexB's (@_annexb) inaugural AnnexB Forum meeting hosted by HEKLER Medium, Against Nostalgia, and the ACCA Workgroup, formed by Tatiane Schilaro (@tatianeschilaro), Raphaela Melsohn (@raphaelamelsohn), Yudi Rafael (@yudirafael) and Felipe Steinberg. 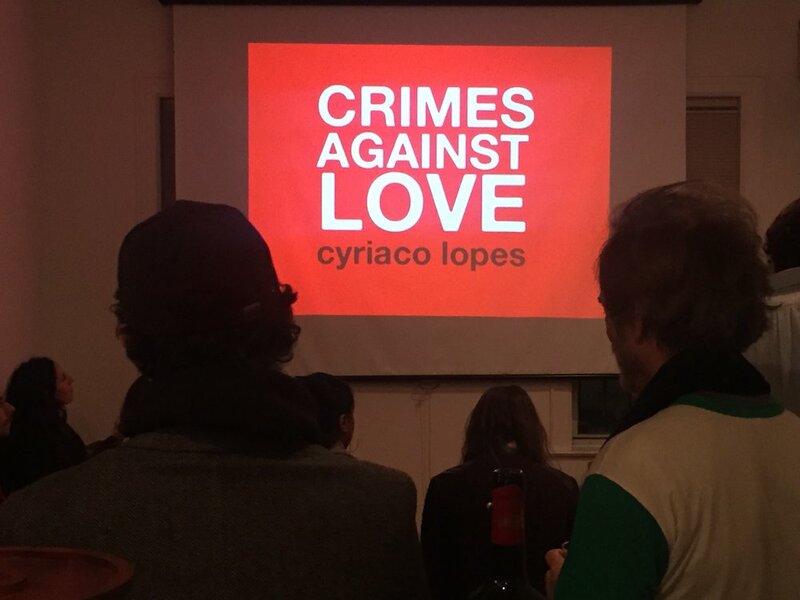 Crimes Agains Love, by Cyriaco Lopes (@cyriacolopes), Associate Professor and Deputy Chair of the Art and Music Department, John Jay College/CUNY, memorializes victims of intolerance and violence against LGBTQ+ individuals and communities. Thank you everyone who joined us in discussion about authoritarian forces in current political climate in Brazil and the history of indigenous resistance. AnnexB Forum is a series of open discussions about themes related to art made by Brazilians and their relationships to the United States. HEKLER is an interdisciplinary collaborative platform that fosters critical examination of hospitality and conflict. 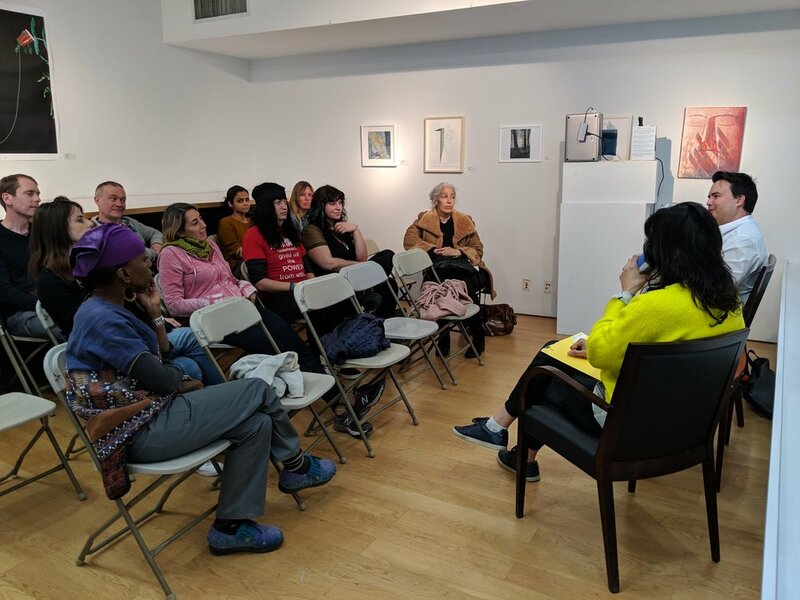 HEKLER organizes events, exhibitions, and discussions with art practitioners, cultural workers, and community organizers that take place at venues provided by HEKLER, collaborators and allies. ACCA’s goal is to develop an ongoing discussion on the effects of authoritarianism to the production of art and its institutions, focusing on Brazil, but also bringing examples from other countries. Added on November 30, 2018 by cyriaco lopes. Added on October 24, 2018 by cyriaco lopes. Added on October 8, 2018 by cyriaco lopes. Added on July 15, 2018 by cyriaco lopes. Added on July 5, 2018 by cyriaco lopes. Talk about Brazilian Art at the Museum of Modern Art in Rio. Part of Stetson's MFA of the Americas visit to Rio. Talk by Lenora de Barros at MAR (Museu de Arte do Rio), as part of Stetson's MFA of the Americas (Poetry in the Expanded Field) visit to Rio. Anthology of Contemporary Poetry from the U.S.
A concept by Alberto Saraiva, curated by Terri Witek, translated to Portuguese by me, and produced by Shirley Fioretti. 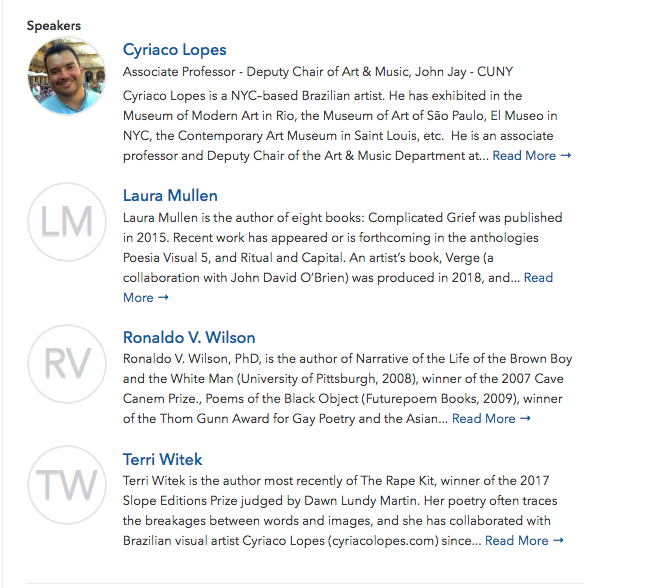 Lançamento da Antologia de Poesia Contemporânea Estadunidense no Oi Futuro Flamengo. Leitura dos poemas de Terri Witek com minhas traduções. Added on April 21, 2018 by cyriaco lopes.